Pretty Things: Bead Soup is on its way to my partners! Oh rats, I was going to get mine in the mail today but ran out of time! I haven't even had time to choose the beads. Love those sweet pink mailers. I don't have any of these so my partner might get something plain unless I can dig up something. Pretty!! Who wouldn't love getting a package in the mail that looked like that. Such pretty packages! I am sure the goodies inside are amazing! Wow - those are so pretty!! I've never tried anything like that before and you made it look really wonderful!! I have all of my beads, etc. ready to go but have been fretting about the packaging, as well!! I love what you chose, and the color is so YOU- pretty pink hair and all! What a nice job! 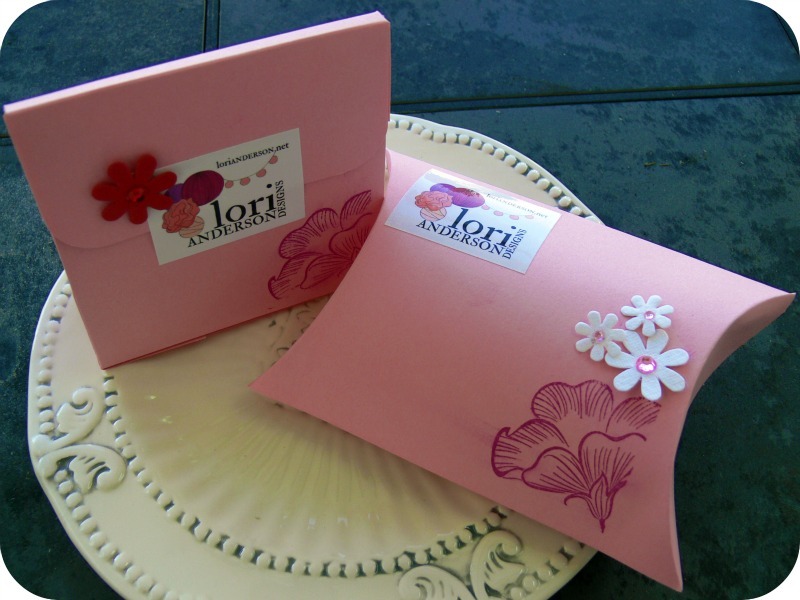 Beautiful packaging Lori! You're so creative, the simplier the better for me. I believe it took a little while to finish, it would've taken me forever and it's so hard for me to make a final decision. Kuddos to you! Hehe! No problem, that's all part of the challenge, no? Love the pink packages! This is my project for the weekend. Don't worry Alice, you are not behind me. Let the fun begin. They look beautiful and I bet they're both a ton of fun inside. I can't believe they're out already. Gorgeous boxes and that is so something I would do! The packaging suits your style and works perfectly with your brand. Those look gorgeous! How exciting!! So the reveal will be a great surprise for you, along with the rest of us! I decided to go "green" and use fabric which is part of my stash as well; I've given my partner an additional challenge to use the fabric in some creative way also. I love the packaging you came up with for your Bead Soup partners! The little white daisies are especially adorable! I only "play" with paper now and then - mostly because of time constraints - but whenever I do, I always vow to do it more often. OMG, that is so cute! Maybe I should participate next time. BTW, I saw you're on Echo Creative Club, too. How fun! Those are pretty! Mine went out in a plain envelope...I didn't know they had to be so pretty! I apologize to my bead soup partner for the disappointing package.